SheilAnemoS was brought to my attention on Instagram where owner Cecilia Nicolò in Rome, Italy shares images of her modular origami jewelry. Since 2015 she has enjoyed the process of folding recycling paper into fashion-forward art. 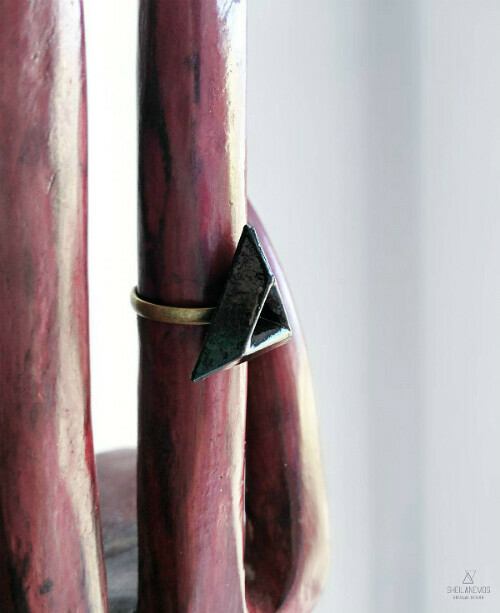 Each handmade piece is rigid, durable, and waterproof - even strong enough to wear as a ring! Cecilia often tries out new techniques, so keep an eye on her selection as it is updated frequently with the latest trends. Her Etsy shop, SheilAnemoS, is on hiatus due to a busy time with summer markets, but soon it will be stocked. Meanwhile, you can reach Cecilia via email at sheilanemos@outlook.it, Instagram or Facebook. 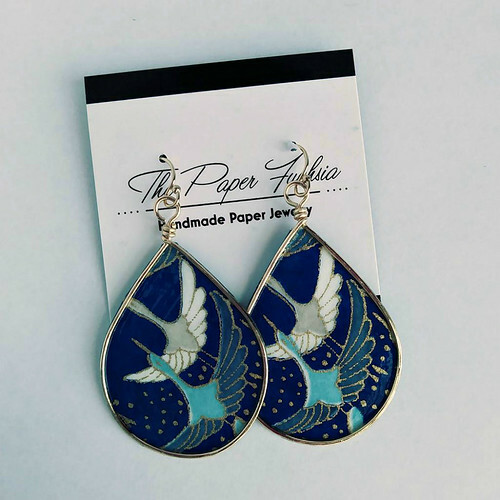 Daniela Bonurelli of Quilly Paper Design in Carini, Italy has continued to make pretty earrings and necklaces since she was last featured in this Paper Jewelry Artisan Round Up. 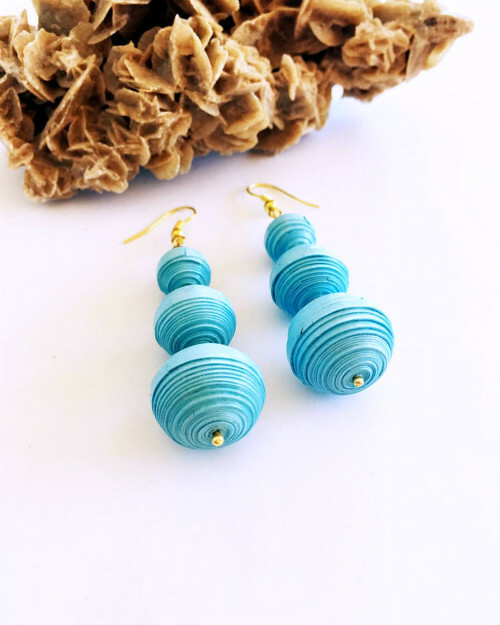 Daniela often incorporates touches of quilling and rolled or crimped paper beads in her work to nice effect. 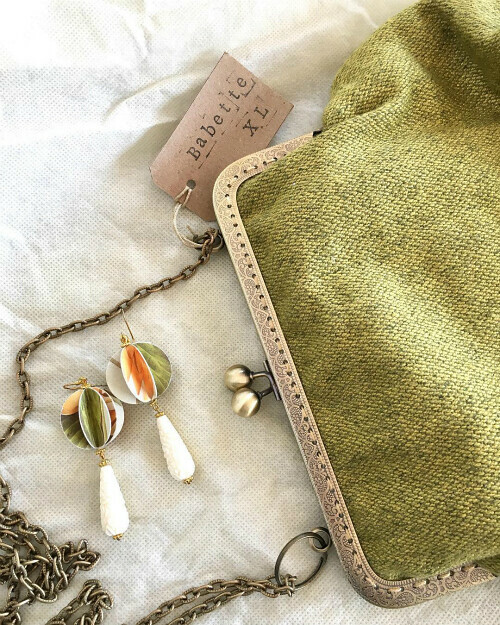 Her new Etsy shop, Quilly Paper Design, showcases pieces that are eco-friendly, lightweight, and comfortable... just right for summer. Quilly Paper Design is on Instagram and Facebook. 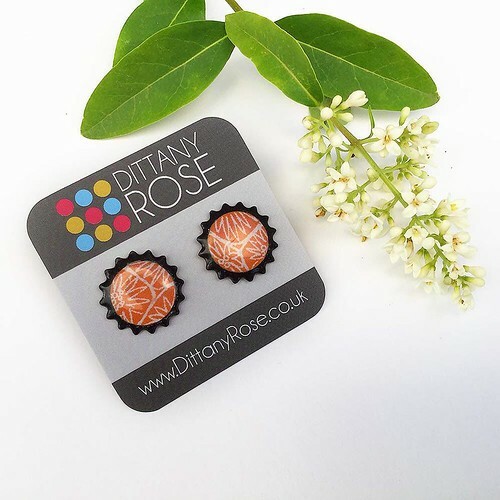 Dittany of Etsy shop Dittany Rose in Cambridge, England studied jewelry design at Middlesex University, but only recently set up a paper jewelry business after a twenty year career in language assessment. 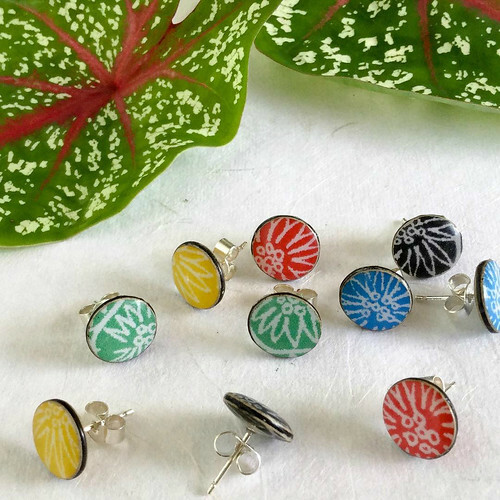 She relies on colorful card, resin, and sterling sterling to craft her pieces after first designing the screen print patterns. 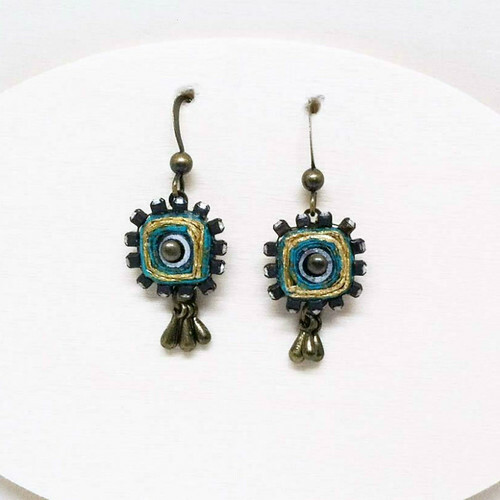 Her distinctive collection consists of earrings, brooches, and pendants. Dittany Rose is also on Instagram. 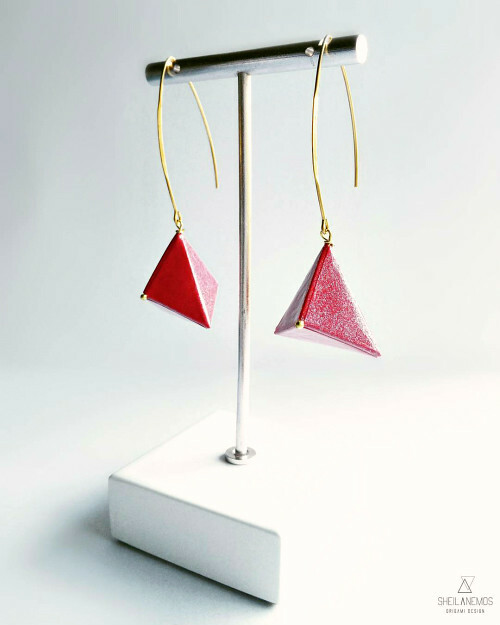 A few years ago I blogged about Marti Emmons of Coco Delay in Portland, Oregon and her handmade jewelry, along with little extras such as where the shop name originated. Curious? It's an enjoyable read, if I do say so myself. 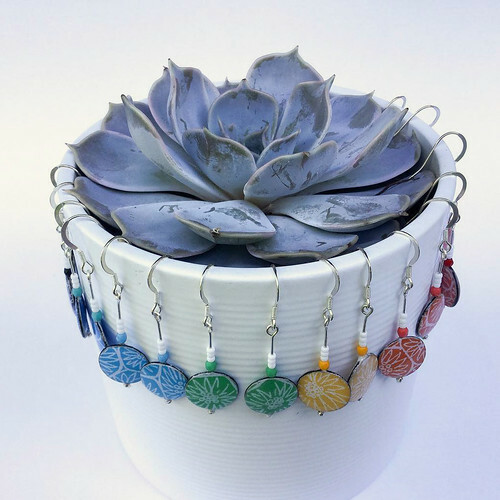 Now Marti has a brand new line of delightful rolled jewelry composed of decorative papers from around the world that feature dangly, shiny findings. 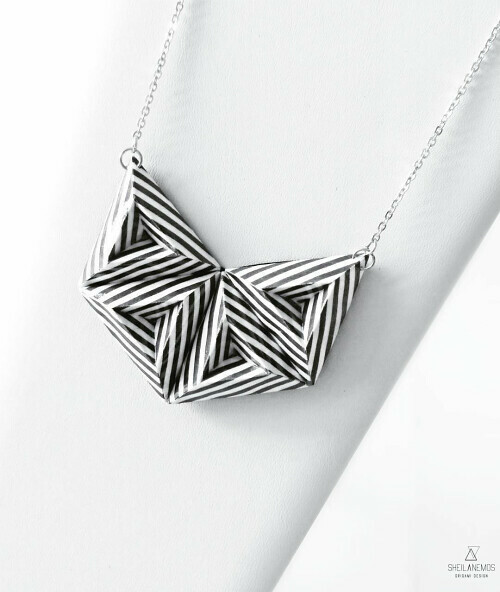 Marti describes these new pieces best... "When quilled* origami paper cozies up to rhinestones, the fun is just beginning." 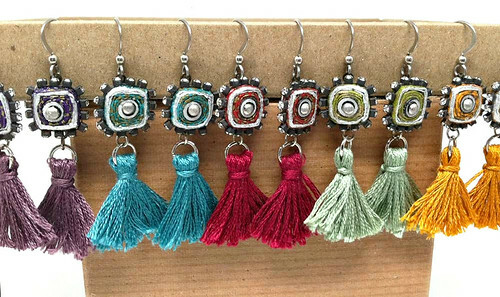 Choose tassels or not for these circle-in-a-square, boho fashion statement earrings, and check out her pretty paper necklaces too. Yes, those are paper clips hidden inside each folded bead! 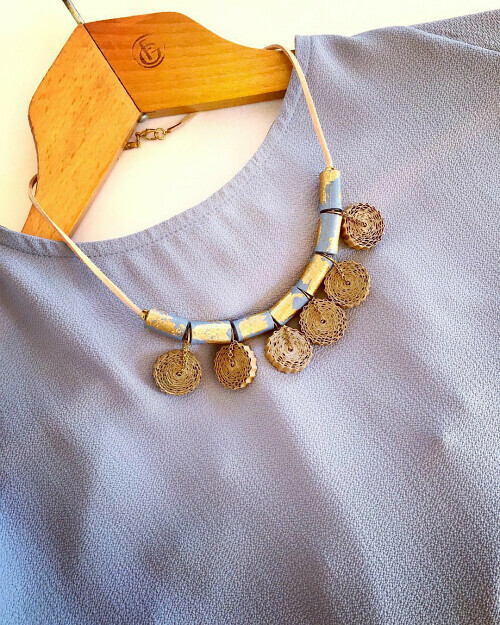 Marti uses a moisture-resistant, non-toxic sealant to protect her jewelry. Coco Delay is on Facebook and Twitter. Jenica Lodde in Clarks Green, Pennsylvania of Etsy shop, The Paper Fuchsia, and I met just today, believe it or not. Talk about timing! I really like her wire-wrapped geo shapes. Jenica uses durable, fade-resistant Japanese paper and high quality waterproof varnish to protect it. 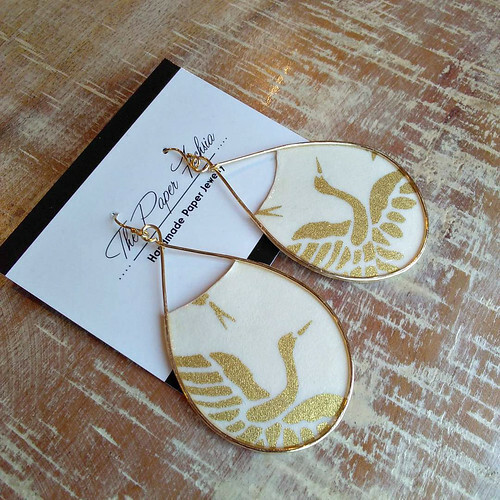 Often cranes are featured in her work... in fact, she makes origami crane earrings too. A beautiful bangle bracelet is listed in her shop that you might want to check out. 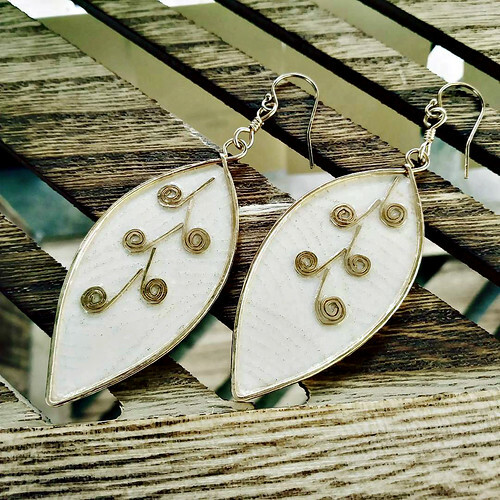 I'm also admiring the wire scrolls on these oh-so-simple, but unique leaf earrings. 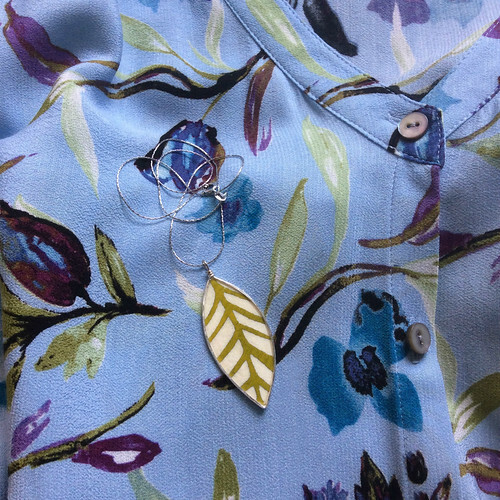 Edited to say, Jenica sent me a beautiful yuzen paper leaf necklace. I love the way it goes with my floral print blouse. The Paper Fuchsia is on Instagram. Stay tuned for another paper jewelry post... there's never a shortage of talented people to feature so I'm sure more will be spotted before long. Thank you, Ann. These pieces are lovely. 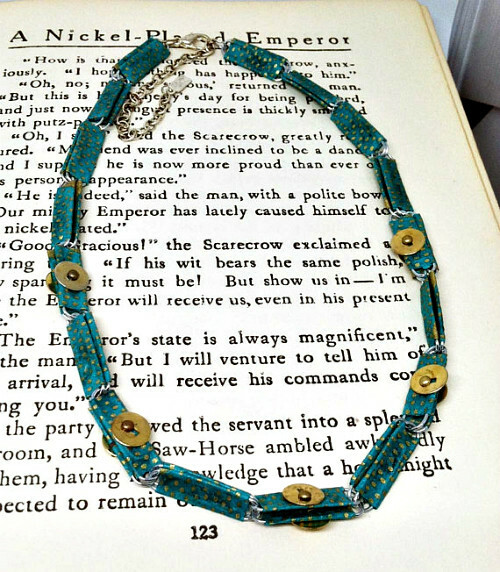 Paper appears to be the perfect medium for jewelry. Looking forward to seeing more. I'm glad you enjoyed the post, Laurie and cate! Thanks for your comments. Thank you for sharing these beautiful creations! Have a fine and inspired day! Hi Suzana, I'm glad you enjoyed seeing the jewelry.